Sedalia, Mo. (August 20, 1949) - Frankie Luptow of Tampa, Fla., swept three of six auto races with his “Black Panther” Offenhauser in front of a packed grandstand audience to capture his twentieth feature of the year in the National Speedways championship auto races Sunday afternoon at the Missouri State Fair. 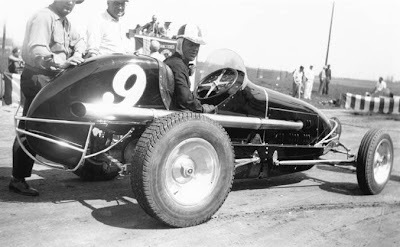 Deb Snyder of Kent, Ohio, defending dirt track champion of 1948, driving an Offenhauser, ate dust from Luptow’s powerful machine in the feature race, but managed to win his opening five-lap qualifying race to make him the day’s second biggest money winner. At least 25 drivers battled time on the half-mile oval that was made fast by recent rains. The half-mile track provided more thrills for the spectators and at the same time permitted them to keep a better tab on the swirling machines as they rounded the track at a speed of over 100 miles an hour. In the first event of the race, Exposition Inaugural Dash, Frankie Luptow never lost the lead in the 2.5 mile race. Running second was Bobby Grim, Indianapolis, Ind., who was piloting an Offenhauser. 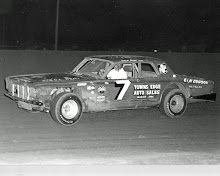 Red Redmond, Atlantic, Ga., behind the wheel of a Frankland Hal, came down the straight of way in third place. Time set by Luptow was 2 minutes and 9:52 seconds. Youth fighting against age was the result of the 2.5 mile race in the National Speedway Dash, which was won by 39-year-old Deb Snyder. 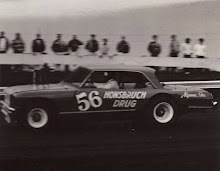 Ken Rubright of Davenport, Iowa, driving a Grancer, rounded the five laps with second place. The third driver to let the checkered flag signal was Cliff Griffin of Indianapolis, Ind., who was driving an Offenhauser. Snyder’s time was 2 minutes and 21.69 seconds. 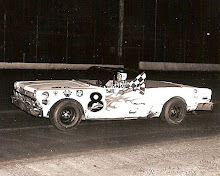 Al Fleming, Richmond, Va., driving a Denny Dryer rounded the five laps in the Ozark Dash in first place, with Stan Callaway, Miami, Fla., driving a Curtiss Special second and Diz Diltz of Kent, Ohio, who drives an Offenhauser, receiving third place money. The time set in this dash was 2 minutes and 24:29 seconds. In the mile and half Invitational Handicap, open to fastest cars selected by officials, Frankie Luptow, again came down the straightaway to cinch first place with Gene Aldridge of St. Joseph, Mo., behind the wheel of an Offenhauser, running second. Red Redmond followed Aldridge. Luptow's time was 1minute and 18:83 seconds. 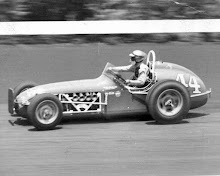 The four-mile semi-feature event was won by Bobby Grim of Indianapolis, Ind., who raced an Offenhauser. He eliminated six drivers to win this feature race. The only driver left in the final lap was Herschel Wagner of Joseph, who was motoring a Grancor. Time of the race was 52:61 seconds. 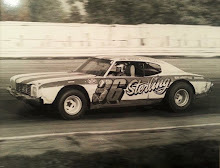 The all important event, the National Speedways Sweepstakes, which went 15 laps or 7.5 miles, was won by Frankie Luptow. Snyder finished the laps in second place, with Bobby Grim taking third. The time set in this thrilling race was 6 minutes and 37:49 seconds.